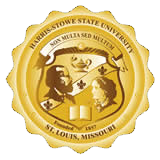 The Hallmarks of Student Learning and Development are the framework for student outcomes at Harris-Stowe State University. Derived from the mission, the Hallmarks describe the University’s expectations for its graduating students. Student learning outcomes assessment occurs at the institutional, program, course, and class levels for the purposes of accountability and improvement. All academic programs and student support programs and services have developed and implemented assessment plans. Planning materials include guidelines for academic units and for academic and student support units and templates for the two areas [2 links: SLOA plan template, SOA plan template for student and academic services]. changes made or planned as a result of assessment. Workshops are held each year to aid faculty and professional staff with activities related to assessment, such as developing effective student learning outcomes. TLA TIPS is an occasional newsletter with ideas on assessment. The Harris-Stowe Assessment Committee members [link: Assessment Committee Members 2009-2010] meet regularly [links: Assessment Committee Minutes 2-12-10; Assessment Committee Minutes 2-26-10; Assessment Committee Minutes 4-8-10] and are available to offer guidance with student learning outcomes assessment.